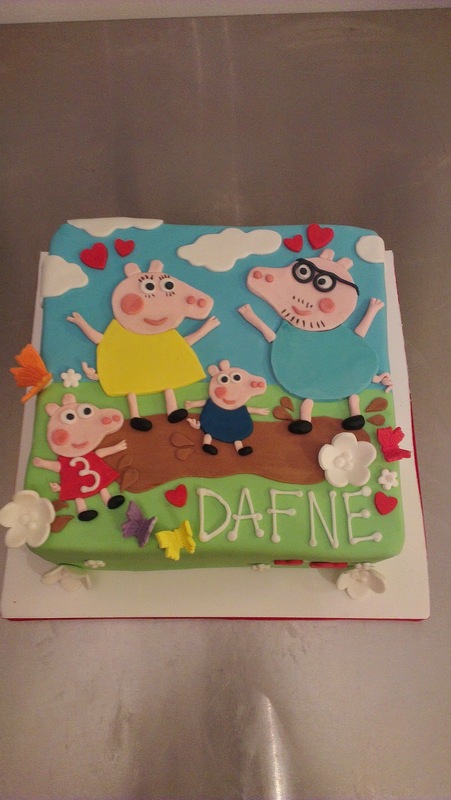 Peppa Pig cake for a super fan! I had made a mistake... her name was DEFNE... I auto piloted DAFNE, the name of one of my childhood dogs. It was easily changed when the cake was picked up! My apologies to DEFNE and her mother!